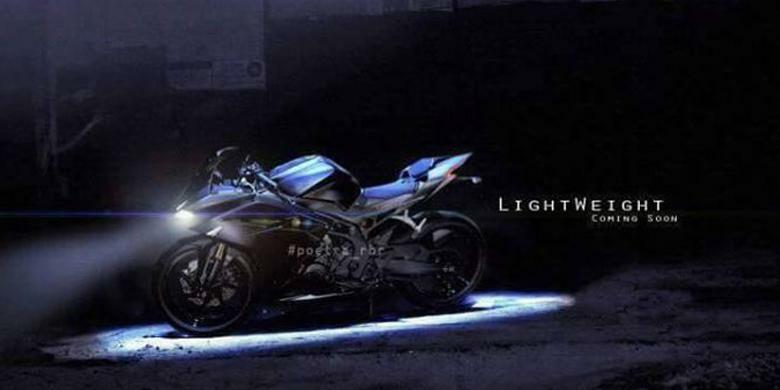 Little by little the leaked informations of Honda CBR250RR continues to drip. Earlier this month, appeared the figure intact image like a teaser. 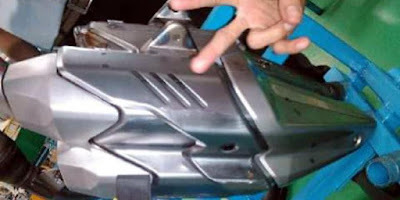 Most recently, as reported by blog activists in Indonesia, appears a photograph showing the exhaust with dual holes. The leaked photo show parts of the exhaust which is not installed. No detail is looked rear, but from the side, it looks the muffler's body curvature contrived for two holes. Yes, the CBR250RR was a Honda's bike that using 2-cylinder engine, and seemed to double hole would become its specific characteristic. From this picture, the guessing games began. Some say that Honda is inspired from the exhaust of Africa Twin. Look its configuration, the exhaust neck remain two, and then out on the header/silincer that consisting of two holes. Curious indeed, and a collection of leaks since early this year to make the scent of the CBR250RR arrival becoming more closer. Another leaks from the PT Astra Honda Motor (AHM) officials about the timing of the launch was still the same, namely the second half of this year, ie October 2016. Honda CBR250RR is the production version of the Honda Supersports Lightweight Concept that was first shown at the Tokyo Motor Show 2015. The initial report, this bike will be able to burst the power up to 35 hp from its liquid-cooled 2-cylinders engine with a capacity of 250 cc. Other leaks is info about the use of very sophisticated technology, like a ride by wire system that led to the speculation of features like the cruise control system until driving mode.